July 6, 2015 - On Friday, a Flight For Life Colorado air ambulance helicopter had departed St. Anthony Summit Medical Center, Frisco, Colorado with its pilot Patrick Mahany, 64 and two nurses. Just after takeoff the helicopter crashed killing its pilot and seriously injuring the two nurses. The Airbus Helicopter AS350B3e (N390LG) which was operated by Air Methods was consumed by the post-impact fire. 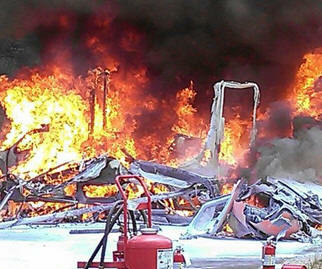 Jennifer Rodi, Senior Air Safety Investigator for NTSB said “The helicopter was basically destroyed by impact forces”. Mahany had been employed with Flight for Life Colorado for close to three decades. Before that he served in the Vietnam War as a pilot flying a US Army scout helicopter. The nurses have been identified as Flight nurse and paramedic Dave Repsher, 45, of Silverthorne and Flight nurse Matt Bowe, 32, of Frisco. Repsher is reported to be in critical condition with burn injuries and Bowe is reported to be in fair condition. Both men where transported to St. Anthony Lakewood Hospital and University Hospital in Denver, Colorado. Flight For Life began in 1972 with a single Alouette III helicopter, based at St. Anthony Central Hospital in Denver, Colorado. It was the first civilian, hospital-based medical helicopter program in the U.S. From its humble beginnings, it has grown to be a regional program responding to nine states. On June 1, 2004, St. Anthony Flight For Life and Penrose-St. Francis Flight For Life in Colorado Springs, Colorado consolidated under a single administrative structure based at St. Anthony Hospital and became Flight For Life Colorado. 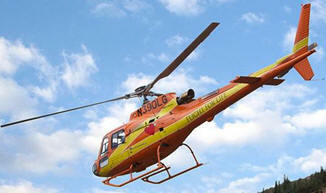 The following November, operations expanded to Pueblo, Colorado with a fourth helicopter. Flight For Life released a statement that stated "We are heartbroken over the loss of Air Methods pilot Patrick Mahany as well as the injuries suffered by our nurses Matt Bowe and Dave Repsher, who continue a tough battle. We have spent the last few days supporting each other and recalibrating. After much thoughtful consideration, and discussion with our crew members, we have elected to go back into service late this afternoon, July 6, with the exception of LG2, which will return to service on Saturday, July 11."